Almost in contrast with the fluid, organic form of Cloud Gate, the public sculpture in Millennium Park in Chicago, is the structure nearby called Jay Pritzker Pavilion. The structure is actually a bandshell, similar to the Hatch Shell in Boston. 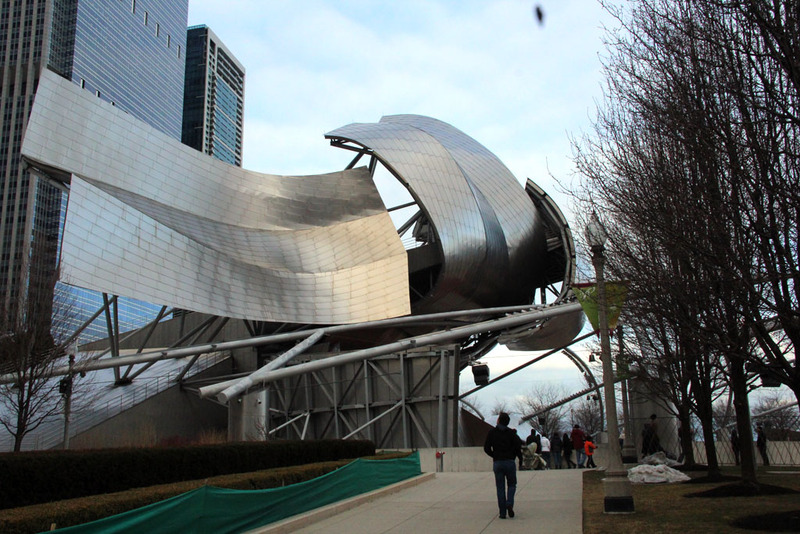 Designed by architect Frank Gehry, the non-linear and distorted elements of the pavilion's structure underlined Gehry's deconstructivist inclination . 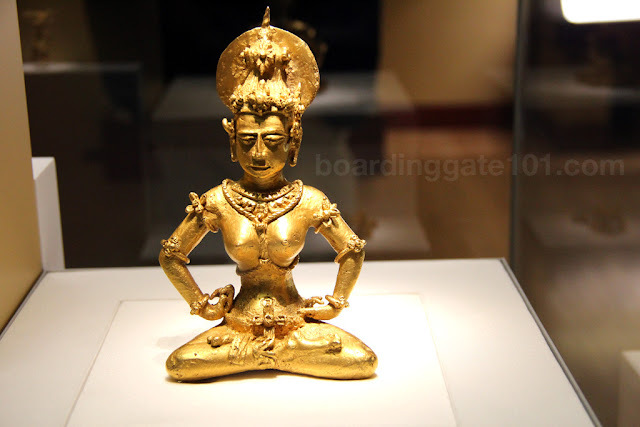 Gehry is responsible for iconic structures such as the Guggenheim Museum in Bilbao, the Dancing House in Prague, and the spaceship-shaped Expo train station in Singapore. 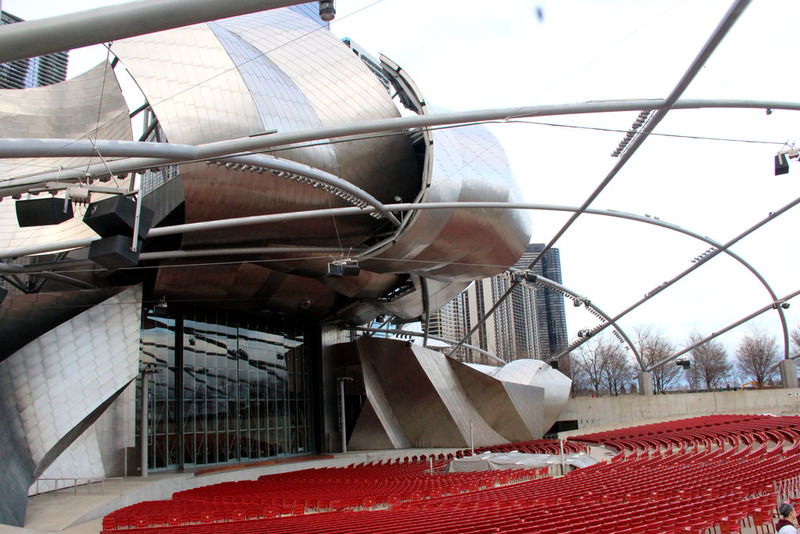 Built over a large grassy area called the Great Lawn, the pavilion comprises of a stainless steel headdress that frames the proscenium. The headdress, made from ribbons of stainless steel that looked that they are peeled off from the structure, is designed to reflect sound and aid the acoustic of the concert hall. It is intersected by a crisscrossing trellis, made of steel pipe. The sound system is installed on these network of pipes . The Jay Pritzker Pavilion was completed in 2004. 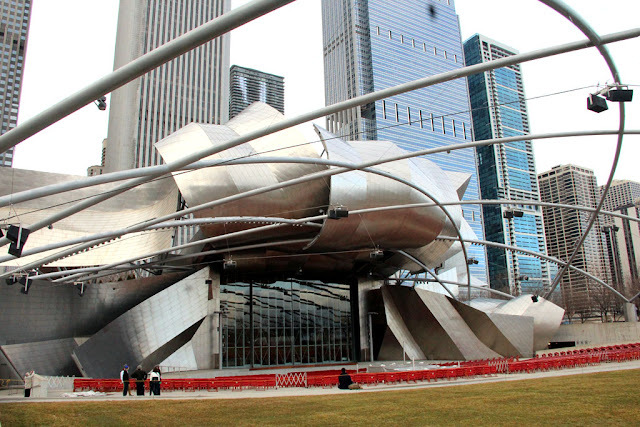 It was classified as work of art to bypass the height restrictions imposed on structures to be built in Millennium Park. Pianist/singer Tori Amos was the artist to do a concert in the 4000-seat pavilion, in 2005. It is now home to the Grant Park symphony Orchestra and the Grant Park Music Festival. 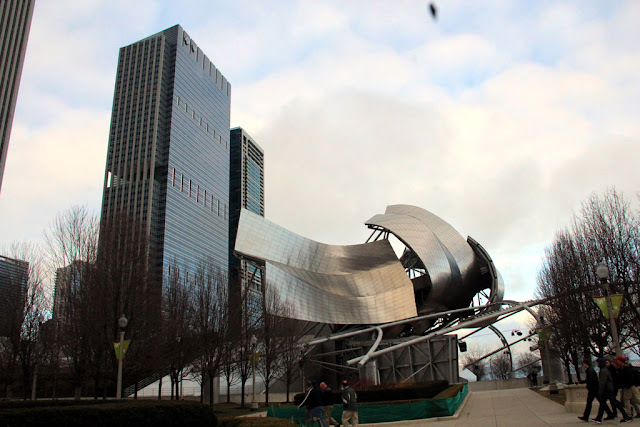 The Jay Pritzker Pavilion is located in Millennium Park in Chicago, Illinois. 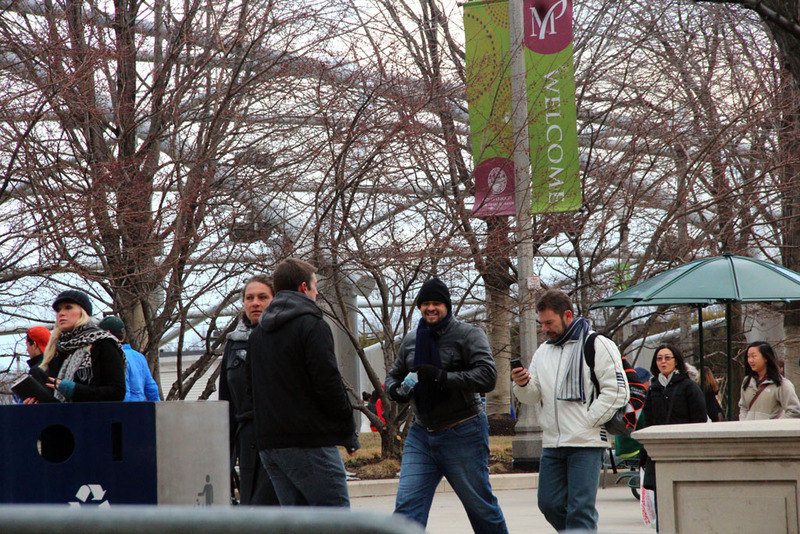 If taking the subway, get off Madison/Wabash and walk towards Michigan Avenue to the park. Madison/Wabash is serviced by the Brown, Green, Orange, Pink, and Purple Lines.